North Yarmouth Academy (NYA) junior Te’Andre King surpassed the 1,000-career point mark on Friday, January 25, 2019 when the Panthers took on Old Orchard Beach at home. At tip-off, King was 14 points shy of quadruple digits. At 2.01 minutes into the third quarter, Te’Andre eclipsed 1,000 off a pass from Chris Hamblett. King joins six other Panthers in NYA’s history to reach this milestone and the first to do so in thirteen seasons. By the final buzzer of Friday’s match-up, King posted 16 points and 14 rebounds, putting him at 1,002 for his career. 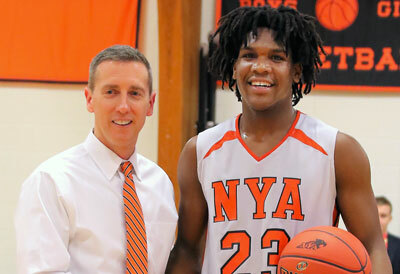 He sits 400 from the NYA boys basketball career points record of 1401 set by Tim DeLuca in 2005. King has been an NYA starter since his first game of his freshman year. He led the entire Western Maine Conference in scoring his sophomore year, averaging 23.2 points and 13.1 rebounds per game. He came to NYA from Manhattan, New York for his freshman year through the generosity of a local host family. 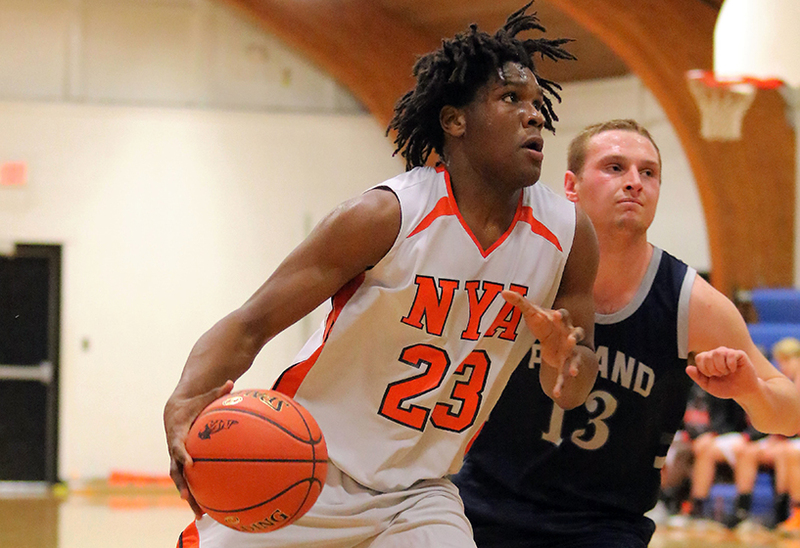 The Portland Press Herald interviewed Te’Andre and has more about his journey to NYA and his love of basketball.